A bit of fantasy this week, Sonya, for that fantastic photo! There was a cotton candied brain beret thing going on with the creature, all pink and puffy and layered like a droopy candle waxing sloppily hither and yawn…did I yawn? I could see how you might describe the organism for it had no structure, no object, no purpose, much like your writing. Yeah, like that, like some flimsy bulbous being, dripping strings of fine cherry filament in the philososphere. https://kittysverses.wordpress.com/2017/07/21/innocence- Here’s my entry, please have a look at it. Thank you Sonya for running the challenge and thank you all for stopping by and reading. I thank Sonya for yet another wonderful photo prompt and all of you for reading and commenting on my effort. Thanks, Neel. Pingback: Three Line Tales – Gorgon – Dutch goes the Photo! 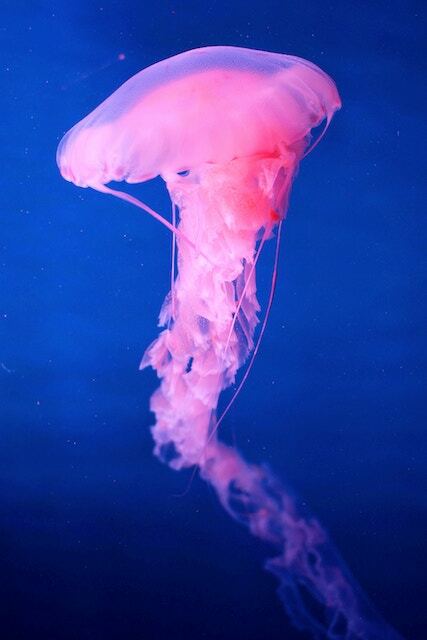 Hmm, another jellyfish prompt. I’ll have to try and come up with something new for this one. Hii Sonya, Here’s my attempt on TLT..
Natures color of beauty in full brightness glow in wonder for all. How did you know how to make beauty such as this for all to see?